There are a number of disorders that have very similar symptoms to fibromyalgia syndrome, and can often be mistaken for each other. These include systemic lupus erythematosus, multiple sclerosis, rheumatoid arthritis, Lyme disease, polymyalgia rheumatica and inclusion body myositis. There are other disorders that cause tiredness, with muscle weakness, stiffness and pain. Sometimes the diagnosis of fibromyalgia syndrome can take a long time, because the symptoms are so similar, but it is important to have a thorough diagnosis, though it seems frustrating, because these different disorders have different causes and will need different treatment approaches, and what may be helpful in one disorder could be harmful in another. Lupus erythematosus (often known just as lupus) describes a family of related autoimmune disorders (illness where the body’s immune system attacks itself). Systemic lupus erythematosus is more common in women than men, and generally occurs between the ages of 15 and 50. It most commonly affects the joints, skin, heart, lungs and blood vessels, liver, kidneys, and nervous system. In multiple sclerosis, the fatty sheaths’ around nerve cells in the spinal cord and brain become damaged, and this affects how the brain and spinal cord communicate with each other. Rheumatoid arthritis is an inflammatory disease that affects the joints, causing swelling and pain, particularly in the hands, feet and cervical (upper) spine. The joints initially become warm, swollen and stiff, especially in the morning. Rheumatoid arthritis can also affect the heart, kidneys and lungs. It may be triggered by an infection. Lyme disease is caused by an infection with the bacterium Borrelia burgdorferi, which is spread through tick bites. 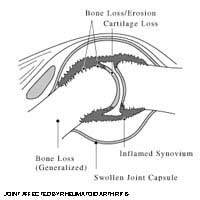 Polymyalgia rheumatica affects muscles, causing pain. It is mostly seen in people over 50, and is more common in women. The cause is unknown but it may be an autoimmune disease. It often resolves on its own without treatment. Inclusion body myositis is an inflammatory muscle disease with gradual weakening of the muscles. It generally begins after 50, and is more common in men than women. This is a rare disease, and it may be triggered by a viral infection. @Lottie Lou - thank you for all you are doing. We need people like you that recognise just what those like us have to go through on a daily basis. Some people think it's just an invented or passing illness that we can shake off like a cold. My husband is my carer and does his best. My single mum became unwell just as I was finishing primary school she was left bed bound a lot of the time and in constant pain. Our world turned upside down & I became her carer so whilst other kids came home from school to relax I would be making dinner cleaning seeing to mum etc. It did have a profound affect on us both and we both had counselling to cope. I'm now 20 and studying psychology and hope to gain a first class degree and mums so proud of me. I was a number of the local young carer group which really helped as being with like minded kids helps and I have since volunteered myself as a helper. Whilst our journeys be tough it has made us so close. Mum had just been changed to pip and guess what they've reduced her award so we are looking at appealing that now. So on behalf of mum & myself we send best wishes to all fellow members & their families. @Suzie - you don't have to apologise. It's good that you're getting tested. Hopefully, at least you will know then what you have. Hugs :( Maddy. I feel like my whole persona has been taken away and its an effort to smile now,i used to be so independant,working full time and bringing up two girls who are now adults,i used to be out all the time and look younger and was fitter and generally HAPPY to be alive,now i feel drained and dont even dress up or wear make-up, everything seemsa'chore', but enjoy reading others as it does re-assure you itsnot just 'you'. I find this information so helpful, as I think its all in my head, some days I feel in such pain and I'm so tired I cannot even make a cup of tea, I suffer with depression which has an affect on all my family. I am so stiff and weak in the morning it takes half the morning to get up and function to cope with my day; so when I receive the newsletter I shed tears - but with joy as I no I'm not the only one feeling like this. They help me to carry on with my life. Please keep this information coming all the info helps. thank you.